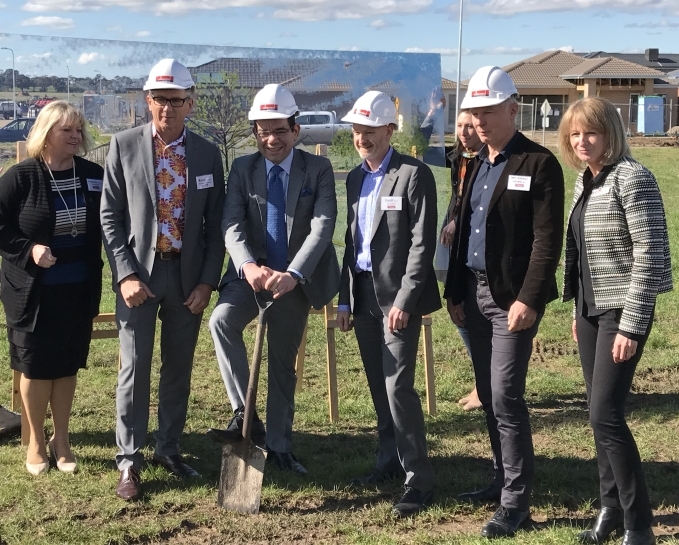 Rupert and Michael from Quantum were pleased to attend the official start of construction of Villawood’s $5 million, Club Delaray. It will be the centre piece for one of Villawood’s latest communities Delaray, located in Clyde. Cr Sam Aziz – Mayor City of Casey, Rory Costelloe Managing Director of Villawood, Nancy Bickerton Senior Development Manager and others pose for the formal photo with the illustrator Claire Marmur’s art piece of the Club Delaray in the background. Quantum United Management is the appointed manager of Club Delaray and the incorporated owners corporations. 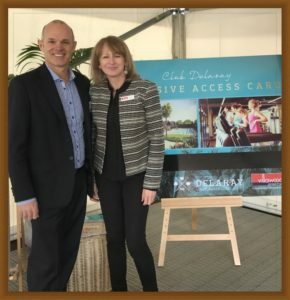 Michael Darby – Managing Director of Quantum United Management with Nancy Bickerton – Senior Development Manager at Villawood who is overseeing the Delaray project.